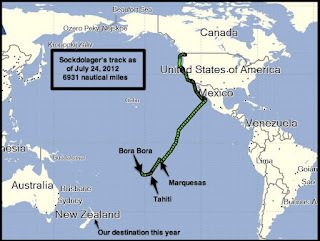 Where we've been: Here's the route we've sailed since leaving Port Townsend, Washington on July 9, 2011: nearly 7,000 miles! When we think about how far we've come, it feels like yesterday for some things and forever for others. For example, San Francisco Bay or Mexico feel like yesterday, but it does feel a little like forever since we left Port Townsend. Thank goodness for blogs to keep in touch with our homies. Why is it that the more full you pack a year, the longer it feels? I believe we may actually be expanding time, maybe even getting younger (!!) by making this voyage. There also remains that "Whoa, did we really sail here?" feeling on most days. Woo-hoo! 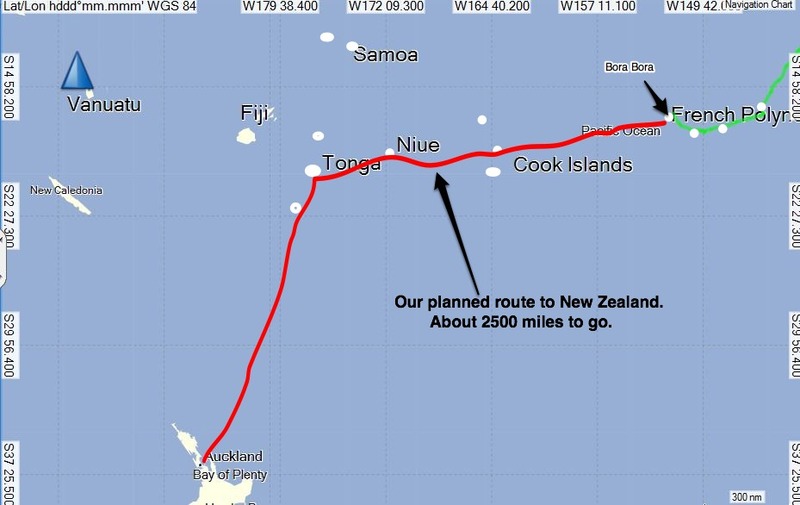 Where we're going: Here's a map of where we're going for the rest of this year, the destination being New Zealand. The piece of ocean we'll be crossing between here and Tonga is where South Pacific cyclones are born, but it's not that season right now, so we should be able to cross it safely. The winds can get boisterous, but that's to be expected. Boisterous is not cyclone force. Between May and October this area is not cyclonically active. But as you probably know by now, weather or whimsy could change our route across to Tonga. You rock! We'd like to express our appreciation to readers, followers, and especially commenters on this blog and via email. It's so satisfying to stay in touch with old friends and make new ones. 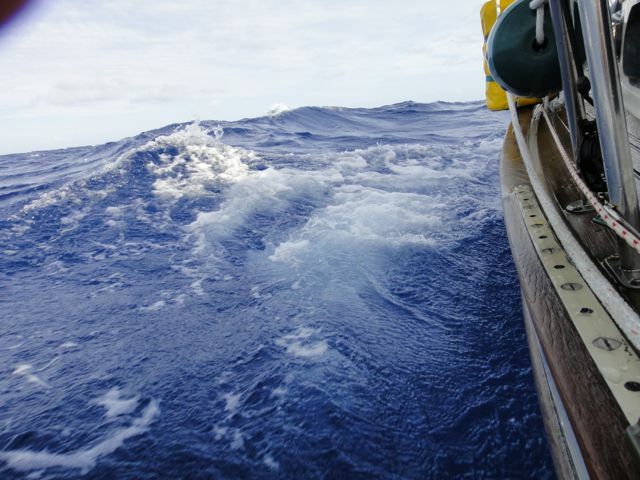 It's also satisfying and fun to hear from sailors who dream about voyaging or are actively getting their own boats ready for a cruise. 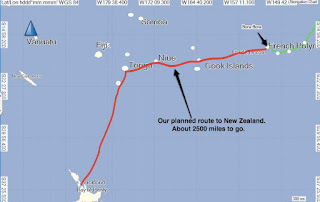 Having dreamed about doing this cruise for many years, I (K) can identify with making those long-term plans. This blog is about staying in touch, making new friends, and telling stories. Thanks for sailing with us. One subtlety about this "lifestyle" is that although it might look like one big jolly continuous vacation to some, it's not always a party (of course you knew that.) It's how we live, with emphasis on play. If we tried to be on permanent vacation, we'd exhaust ourselves. Our cruising buddies Don and Deb Robertson on Buena Vista help us remember how to keep it in perspective: when the solar charge controller goes on the fritz, or the dinghy springs a leak, or the outboard balks, or the head needs repair, it's a good time to shout at each other across an anchorage, "YOU are livin' the dream!" New Zealand?! Awesome ... we look forward to reading about your journey and new adventures!